Happy new year! 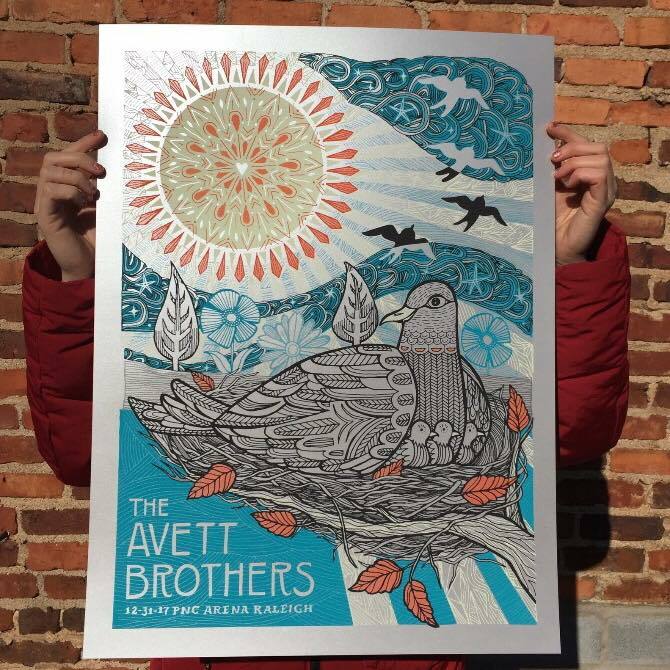 It’s always an honor to design the VIP poster for the Avett NYE show. My variants will be in the online shop this Friday 01/05 sometime between 2-5pm EST. I'll be at the Krankies Craft Fair next Saturday, 12/16 with some new pins, cards, and other stuffs. Hope to see you there! Poster by lovely local legend, Laura Lashley. You can see more of her work here.